We are the leading institutions indulged in wholesale trader & supplying a premium range of Plating Rectifiers. Entire range is lauded for its quality, strength, durability and performance. As per the needs and requirements of our clients, we are involved in providing Metal Finishing Rectifier. 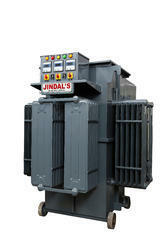 The Nickel Plating Rectifier provided by us is known for its ease of installation and usage. This rectifier is plating using pure quality nickel for the purpose of surface protection. Being an eminent organization in the industry, we are involved in providing a premium quality range of Plating Anodizing Rectifiers. KOMAL’S rectifier equipments are wound with electrolytic Prime grade copper strip to minimize power losses, in comparison to Aluminum conductor used by many other manufacturers. Our equipments are designed liberally as per capacity and are Ideally suitable for marginal over loading conditions. From 0-16 Volts and 5 Amperes to 100 amperes. 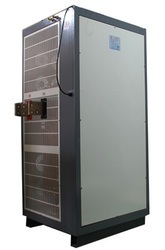 All corrosive resistant cabinets voltage and curent crossover control as standard. Wide Choice of models and options.Complete repair, rebuilding & maintenance service. Protected against Short Circuit. - Output Voltage: Fixed Rated maximum DC voltage or variable from zero to maximum rated voltage. - Temperature Rise: Less then 35oC above ambient at the top of the oil. - It is used in jewellary making with very precise plating.